In my last blog post I showed how to set API Science variables using my “Set Dog and Meal” API monitor. In this post, I show how to create a new monitor that reads and verifies the status of those parameters. Here, I’m accessing the API Science Variables API (https://api.apiscience.com/v1/variables) using an HTTP GET command to retrieve data from the API. I’ve named the monitor “Dog and Meal Status,” tagged it into my “dogs” category, and the monitor will run every 10 minutes from Washington, D.C. Right now, my monitor runs every 10 minutes. 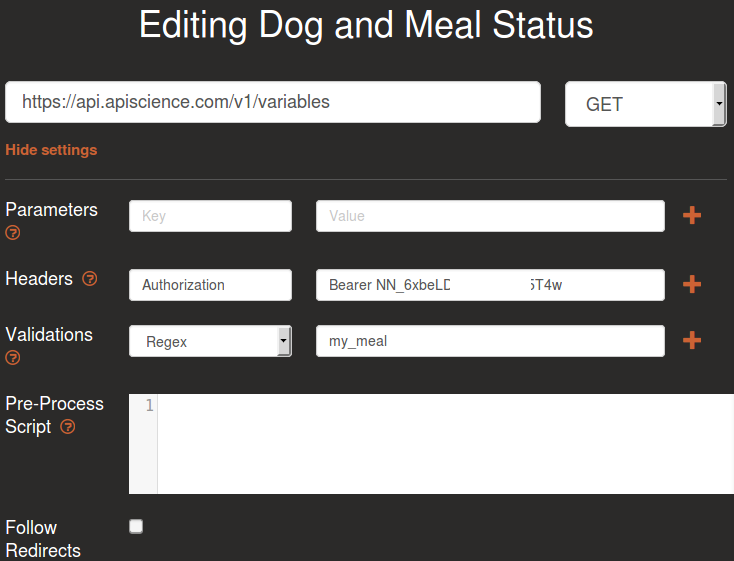 When I view the latest results for my “Dog and Meal Status” monitor, I will see successful results if the API responded and returned a list of parameters. But what if the primary value of our product is tied to the existence of a specific parameter? Let’s say the key item for our product is the “my_meal” parameter. If that parameter doesn’t exist, then our product will be seen as down by most of our customers. 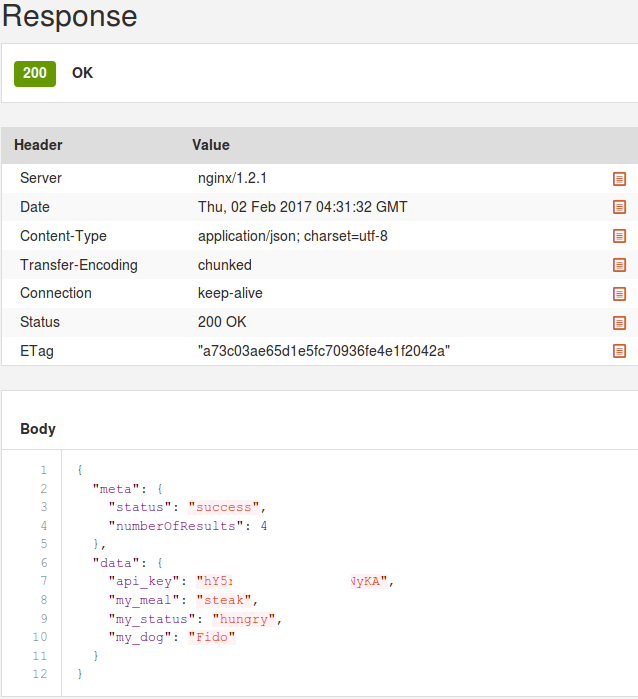 How can we verify that the API is not only returning requested data, but is also returning the “my_meal” data that we know is most critical for our customer base? Max Response Time (ms) – declares the API call to have failed if a response is not received after a specified number of milliseconds. Now, whenever this monitor runs, it will be considered a failed run if “my_meal” is not included in the response text. In my next post, I’ll demonstrate cases that test this validation.